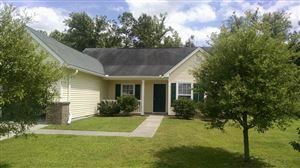 Summerville, SC offers its’ residents the ability to have the accommodations of living in a large community with the characteristics of a small town! Summerville has great culture from dive bars, family restaurants, local businesses, and performance theaters. Stroll down main street or get a beer at a local brewery after work. Featuring one of the best school districts in the state and a safe community, you can feel comfortable allowing your children to grow up in Summerville. Great parks and fun events can be visited every weekend during your family outings. Are you looking for more energy? Go to a local bar to catch great local music or travel just 15 minutes down I26 to the North Charleston Coliseum and Tanger Outlets. Minutes away from a hockey team, concerts, business expos, and more! From a 4 star hotel to bed and breakfasts, Summerville does the best in combining luxury, culture, and small town into one community. The average winter temperature is 53 and the summer rates a balmy average of 76 degrees so come on and live small town with a big heart in Summerville.